From advice columnist Meredith Goldstein, a dazzling, romantic, and emotionally resonant YA debut about a teen science whiz in Cambridge, Massachusetts, who tries to crack the chemical equation for lasting love and instead wreaks havoc on herself and the boys in her life. For seventeen-year-old Maya, the equation for happiness is simple: a dream internship at MIT + two new science nerd friends + a perfect boyfriend = one amazing summer. Then Whit dumps her out of the blue. Maya is miserable until she discovers that her scientist mother, before she died, was conducting research on manipulating pheromones to enhance human attraction. If Maya can finish her mother’s work, maybe she can get Whit back. But when her experiment creates chaos in her love life, she realizes that maybe love and loss can’t be understood using the scientific method. Can she learn to trust the unmeasurables of love and attraction instead? 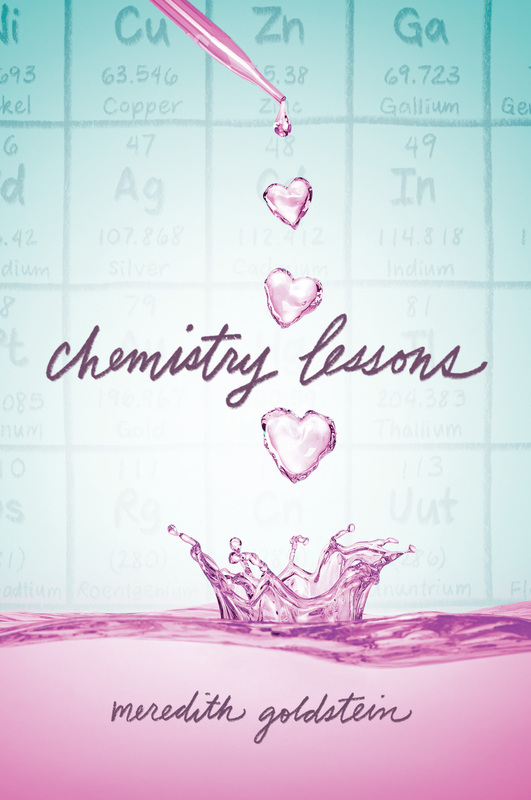 I’m so excited to be kicking off the Chemistry Lessons blog tour today! Before I jump into my review, can we talk about how gorgeous Chemistry Lessons‘s cover is for one second?? It’s absolutely adorable and definitely what first attracted me to this novel. Now, onto the review! Maya is bound for MIT in the fall, following in her late mother’s footsteps in becoming a scientist. Her summer before college is going to be perfect—she has a cool internship in a lab, awesome new friends, and a boyfriend who she’s ready to take the next step with. Everything comes crashing down on her, though, when her boyfriend unexpectedly breaks up with her. Armed with her mother’s secret research project, Maya is ready to do anything to get him back. By far my favorite part of Chemistry Lessons was how many women in STEM it featured! Most of the scientists and students in the lab Maya is working in are women plus Maya comes from a family of female scientists! While I myself am not in any of the STEM fields, many of my college friends are and I often hear about their struggles. I loved how this book showcased so many STEM women in such a positive manner, and I really enjoyed that we got to see everything that went into Maya’s experiment. The actual project is an interesting concept. It really is a bit unethical though, so I was glad that was touched on in the story and that Maya was conflicted over it in the end. For the experiment, Maya uses three test subjects and uses their DNA to alter her own pheromones in hopes of them being attracted to her natural scent. Since there are so many variables involved, it’s hard to know if the experiment actually worked, but Maya comes to the conclusion that the subjects reacted the way they did because of the unaccounted variables. All of the subjects are love interests at one point in the story, but their characters are not developed as much as I had hoped for and the end was left pretty open. Overall, Chemistry Lessons was a fun story featuring a STEM heroine! I definitely recommend it for anyone who loves science and contemporary YA novels! Meredith Goldstein is an advice columnist and entertainment reporter for The Boston Globe. Her first novel “The Singles,” was released by Penguin/Plume on April 24, 2012. In March of 2016, Grand Central Publishing acquired a memoir based on her column, Love Letters. It is scheduled to be released by Spring of 2018. Sounds like a fun read about love, chemistry, and unintended consequences! Exactly!! I hope you add it to your TBR! Love, love the cover! Based on the synopsis, this character and I have much in common and I can’t wait to “get to know her” as I read. Yay! I’m glad you are going to be able to relate to the heroine of the story!